Social responsibility has been a driving force in much of Sezai Hazir’s life. 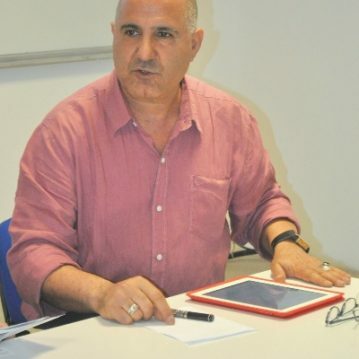 A graduate of the Geodesy Engineering Department at Yildiz Technical University, Hazir has 18 years of experience in social development and working with disadvantaged groups through projects he has initiated in 81 Turkish cities. In addition, Hazir served as a member of the official commission of the Turkish Government at the United Nations summits between 1997 and 2003. He founded the very first youth organisation of Turkey, Habitat Center for Governance, in 1996 and is now the honorary president of the organisation. He is also a member of TOBB Youth Entrepreneurs’ Supreme Council, Istanbul Development Council, PNB International and a board member of International Entrepreneurship Initiative. Hazir has been a keynote speaker on the subjects of entrepreneurship, development, governance and participation.